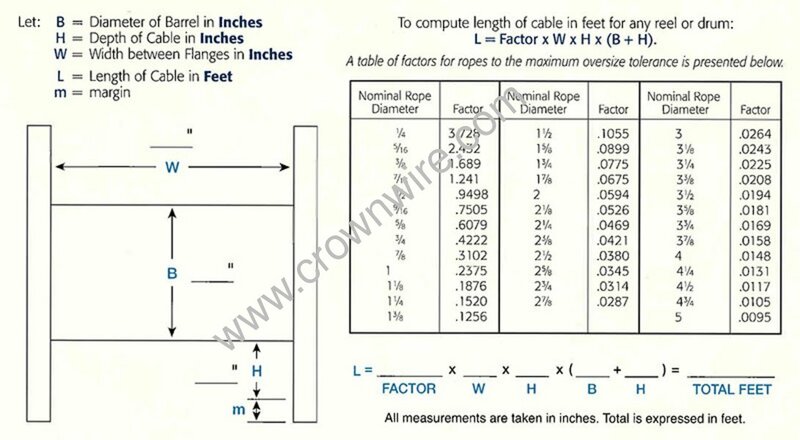 Item # 7/8RRI19, 19x7 Rotation Resistant Steel Wire Rope (IWRC) On Crown Wire and Cable Co., Inc.
A uniform hoisting rope generally used where a load is suspended on a single-part line. Unique characteristics prevent spinning of the rope. This is a Single Part Rope. 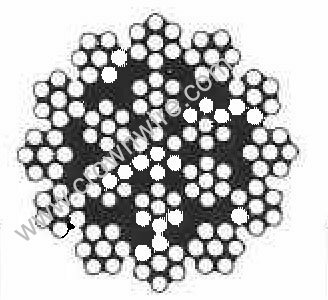 Actual Constructions 19 strands containing 7 wires each. 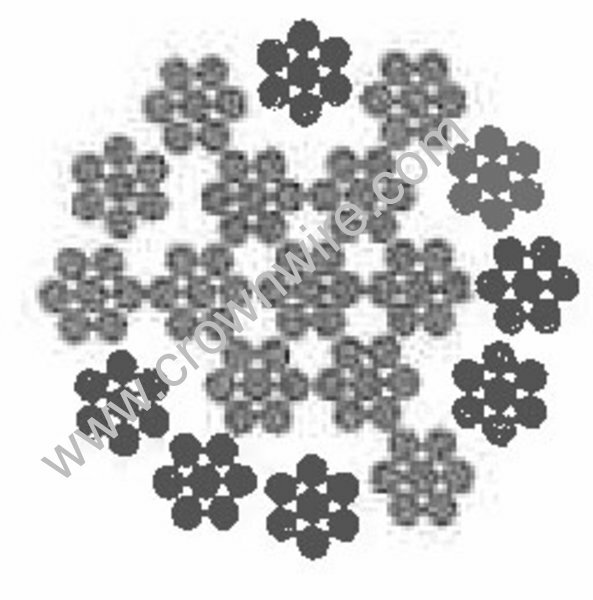 These directional changes result in a rotation-resistant Characteristic.